Statehouse opposition to the House Republican's proposed cap on Medicaid payments and phasing out the program's expansion to low-income adults stands in the way of the GOP's push for quick replacement of the Affordable Care Act. The Medicaid provisions of the proposed American Health Care Act, which goes to the House Budget Committee next week, would shrink federal payments to the states significantly over time, increase the uninsured rate and boost uncompensated care costs, analysts say. Governors, including many Republicans, fear the loss of federal Medicaid dollars will open huge gaps in their budgets, which by law must be balanced. Medicaid payments from Washington make up an average of 54% of all federal funding that states receive. Those governors, along with more moderate GOP senators and congressmen, are voicing opposition or wariness about the bill, which will rob many constituents of healthcare coverage and undermine the finances of local healthcare providers. “Medicaid is the make-or-break issue for governors,” said Deborah Bachrach, a partner at Manatt Health and former Medicaid director of New York. 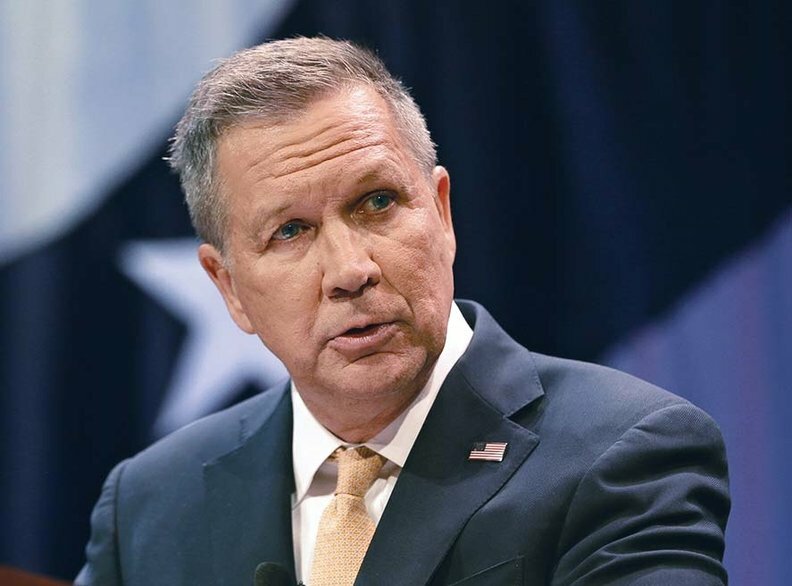 Republican governors who expanded Medicaid, led by Ohio's John Kasich and Nevada's Brian Sandoval, are pushing congressional Republicans to keep the expansion and dial back the funding cuts. Even more-conservative GOP governors, such as Wisconsin's Scott Walker, say the bill's Medicaid provisions need revision and reportedly are working on an alternative proposal. Four Republican senators from expansion states said last week they did not support a previous version of the House bill because it didn't adequately protect people who've gained coverage through the expansion. The bill going to the Senate may be driven by the most conservative House Republicans. The three dozen members of the Freedom Caucus want to eliminate the federal Medicaid expansion at year-end, and the White House reportedly supports that. But Bachrach said the debate about whether the cutoff date is 2017 or 2019 is beside the point. “Many governors don't want the enhanced funding for expansion to be removed ever,” she said. The AHCA would convert the federal match in the $552 billion Medicaid program, currently an open-ended entitlement, into per-capita payments that grow more slowly than Medicaid costs. Starting in 2020, the bill also would phase out the ACA's enhanced federal payments to states that expanded eligibility to low-income adults, which has extended coverage to more than 11 million Americans in 31 states plus the District of Columbia. The shift to capped federal contributions would mark a historic change in the half-century-old safety net program for poor people, children, seniors and the disabled. While states have flexibility in setting the financial, age and health criteria for participation, Medicaid has always been structured as an entitlement program for anyone who meets state criteria. The goal of Republicans in Washington is to reduce federal spending growth and give states even more flexibility in designing their programs. They foresee the capped contributions producing big Medicaid savings, which they would use to pay for the flat, age-based tax credits offered people who purchase individual plans. In 2020, the GOP bill ends the ACA's income-based premium tax credits. The bill eliminates the ACA's structure for premium subsidies, which were used by about 85% of the 11 million people who purchased plans on the exchanges. The AHCA's impact on state budgets could be severe unless Medicaid programs were sharply scaled back. Total Medicaid spending is projected to rise at an average annual rate of 5% over the next decade, in part due to the program's expansion. Per-capita spending growth is projected to average 3.6% a year through 2023. Under the proposed per-capita grant model, starting in 2020 states would receive a fixed amount of federal money for each of five beneficiary groups. The caps would grow at the rate of the medical component of the Consumer Price Index, which lags at least 0.2 percentage points behind actual Medicaid per-capita cost increases each year, according to Edwin Park, vice president for health policy at the Center on Budget and Policy Priorities. States would have to decide who to cover, what benefits to offer, and how much to pay providers while staying within those capped amounts. The American Hospital Association, the Catholic Health Association, America's Essential Hospitals, the Children's Hospital Association and the Association for Community Affiliated Plans immediately came out against the House GOP bill in its current form, citing concerns about the Medicaid changes. They worry it will lead to sharply reduced funding, forcing cuts in eligibility, benefits and payment rates. Standard & Poor's projected 4 million to 6 million people currently enrolled in Medicaid would lose coverage under the bill. “The overall payer mix for providers would weaken as the number of people without insurance would most likely rise as would the hospital sector's level of bad debt and charity care expenses,” the bond rating agency said. Federal payments would fall even more for states that end their Medicaid expansions because the higher federal contributions for the expansion population would no longer be part of the state's baseline spending level. Seven states have laws requiring them to end their expansion programs if federal payments are reduced. The House bill tries to soften the impact of the cuts by letting states that expand Medicaid by 2019 keep the enhanced federal funding for people who already were enrolled and stay enrolled. But for new enrollees, states would only receive their traditional matching payments from the federal government; those average about 63% across the country versus the 90% match under the ACA. To help states that didn't expand Medicaid provide care for the uninsured, the House bill would rescind the ACA's cuts in Medicaid disproportionate-share hospital payments scheduled for 2018 and 2019. Those DSH cuts would be repealed for all states starting in 2020. In addition, the House bill would offer $10 billion in funding from 2018 to 2022 for non-expansion states to increase payments to safety-net providers. States will need time to examine what the per-capita model would mean for their state. But they may not get that time.